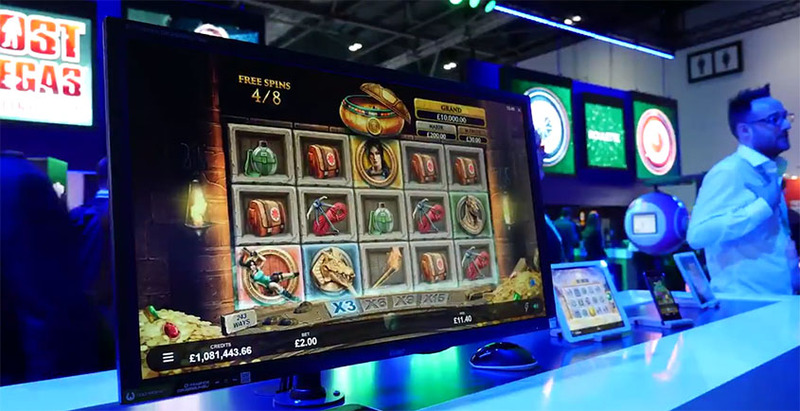 The new Lara Croft: Temples and Tombs online slot was developed in conjunction with Microgaming and Triple Edge Studios. The two companies have been working together since February 2018, and several exciting games have come from this partnership, including Book of Oz, Wicked Tales: Dark Red and Halloween. In this thrilling new slots game, Lara Croft: Temples and Tombs will bring players plenty of impressive winning potential with rolling reels that allow for multiple, consecutive payouts to be earned on a single stake. Multiplier trails are also available, as well as a generous grand prize worth 5000x your stake. Microgaming and Square Enix have been working together since 2004, and their partnership is the oldest of its kind in the online casino market. Tomb Raider and Tomb Raider: Secret of the Sword have both been released in this time, and Lara Croft: Temples of Tombs will complete the trifecta. However, we’re sure that there will be several other titles based on the brave explorer as long as Tomb Raider video games continue to be released. “We’re incredibly proud of our long-standing association with this internationally treasured brand,” says Jean Luc Ferriere, Chief Commercial Officer at Microgaming. “Lara Croft is an iconic hero, and it’s a real privilege to bring her back in this gripping new slot machine”. You’ll be able to give this amazing new online slot at casinos later this year. Sooner still, the Lara Croft: Temples and Tombs slot demo will be available right here at Slots Temple – so, stay tuned!